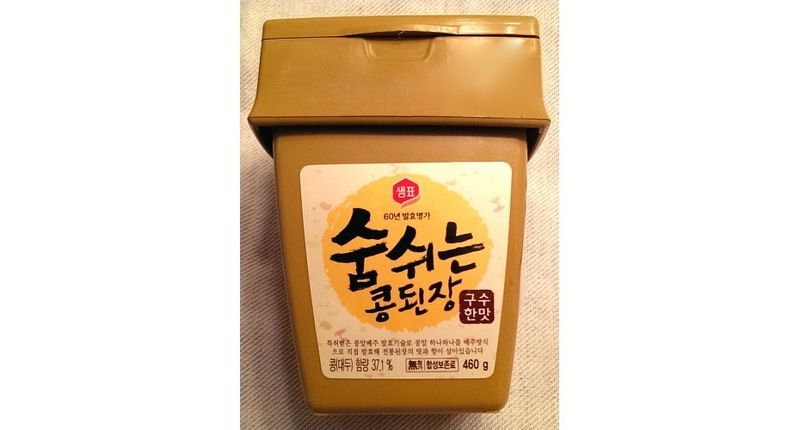 Soybean paste, called doenjang in Korean, is Korea’s version of Japanese miso. 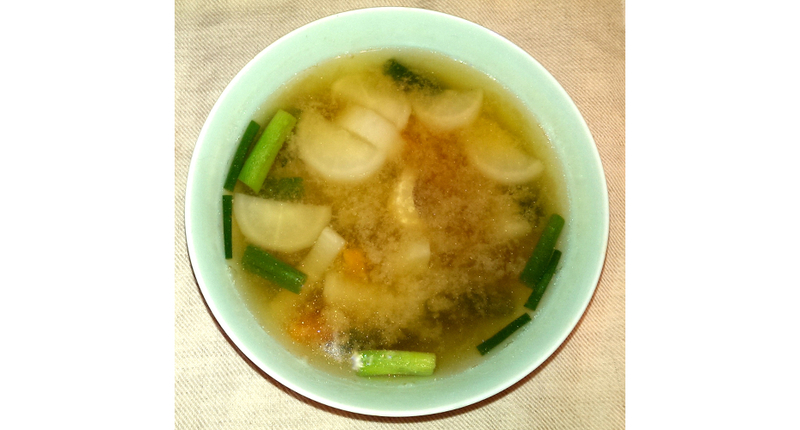 Like miso, doenjang forms the basis of a number of Korean dishes, most notably a series of dense, rich soups and stews that have doenjang in their names. This recipe is for a doenjang-based soup with pork. Since it’s a soup it’s lighter (in flavor) than doenjang stew, i.e., doenjang jjigae, which is a very popular dish in Korea. The lighter taste makes it a good fit, I think, for spring. 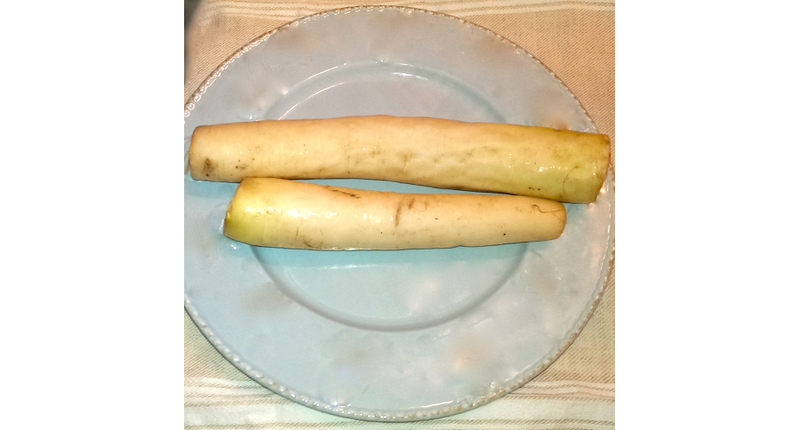 *Daikon radishes are long and white and are sometimes referred to as “white carrots” because of their appearance. Korean radishes are not quite as long, but are much rounder, with a shape sort of like an enormous potato or a small football. You should be able to find daikon radishes at Asian grocery stores and Korean radishes at Korean grocery stores. The photos above show both types of radishes. Slice pork into thin strips. Cut green onions into 1-inch-long pieces. Place 2 cups of water into saucepan. Add pork and boil it for one minute. Drain pork and discard water. Bring 6 cups of broth or water to a boil. Add pork, carrot and radish. Simmer one minute and serve hot. ***If your soup tastes too bland, add more soybean paste.